Jill Weber teaches US History at Cheney Middle School and high schoolers in the Teaching Career Pathway. Today she shares how she incorporates the Blackout Poetry literacy and writing activity into her instruction. Sometimes great ideas come to us, and we’re so excited to try them, BUT the pace of the year come crashing in on us and we have to put those ideas on hold. I’ve had this idea on hold the the last three years, and we are FINALLY getting to it. Blackout Poetry. Blackout Poetry is using text that has been printed (books, newspapers, magazines, etc…) and manipulating the text to convey a new poetic meaning. By selecting words from the text and then blacking out the remaining words. Take a minute to Google it and check out the images. So cool! Structure strips. Seriously . . . where have you been hiding? Over the last few months, I’ve had the chance to be part of several teacher conversations focused on the integration of social studies and literacy. And for the last few years, I’ve had the chance to work with the Kansas Department of Education and Kansas teachers as we rolled out our revised state standards and assessments – both of which concentrate on finding ways for kids to read, write, and communicate in the discipline. So while I am not some super duper ELA expert, I did think that I knew a little something about literacy tools. But I recently got a great wake-up call that let me know that there is always something new to learn. I was doing some internet browsing for literacy activities and ran across references to something I had never heard of before. And it looks like an awesome tool to slip into your bag of tricks. A few months ago, I spent a few minutes on a quick rant blaming laptops and mobile devices for being the reason for the terrible KC Royals pitching, destroying the rainforest, causing the downfall of the Roman Empire, and ruining your students’ educational experience. Okay. Mostly just the student educational experience thing. A brief recap. Research is suggesting that when college students use technology to capture lecture notes, both short and long term learning declines when compared to students who captured lecture notes using the old fashioned paper and pencil method. 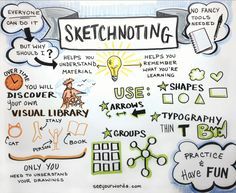 Tech tools seem to encourage verbatim note-taking that focuses on capturing every word rather than on capturing only information that is important – on copy and pasting rather than evaluating and summarizing. Paper and pencil force the student to make decisions about what’s important and then to transform that information into a personal version of the lecture or video. It’s this personalizing feature of paper and pencil that improves retention and learning. And, yes, it’s college kids not K-12. And, no, you don’t lecture all of the time. But I’m gonna suggest that the experiences of middle and high school students would not be that much different from the college kids cited in the research. I was browsing through some old History Tech posts and ran across this 2016 entry. It caught my attention as several of us were chatting about ways to encourage student to student conversations. If you’ve been thinking about that issue as well, you might give the Last Word strategy a try. I spent some some last week with a group sharing strategies around the blended learning concept. It was compelling conversation, I walked away smarter, and had the chance to meet some interesting people. But one of my biggest walkaways was a strategy that the forum’s facilitator used to jumpstart the discussion. He called it the Last Word. Others in the group used the term Final Word. No matter what it might be called, I thought it was a perfect fit for strengthen the speaking and listening skills of social studies students. So if you’ve used Last Word, post some comments on changes you’ve made or things you like about it.